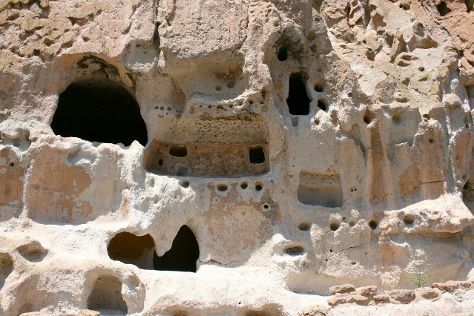 Deepen your sense of the past at sights like Bandelier National Monument and Albuquerque Old Town. Get some cultural insight at Loretto Chapel and Canyon Road. You'll find plenty of places to visit near Albuquerque: Santa Fe (New Mexico History Museum, Georgia O'Keeffe Museum, & more). Next up on the itinerary: enjoy unforgettable views with a balloon tour, get a new perspective on nature at Indian Pueblo Cultural Center, identify plant and animal life at Cibola National Forest, and get curious at Explora Science Center and Children's Museum of Albuquerque. To see other places to visit, ratings, reviews, and other tourist information, use the Albuquerque road trip tool . Expect a daytime high around 73°F in October, and nighttime lows around 48°F. Finish your sightseeing early on the 19th (Fri) so you can travel back home.